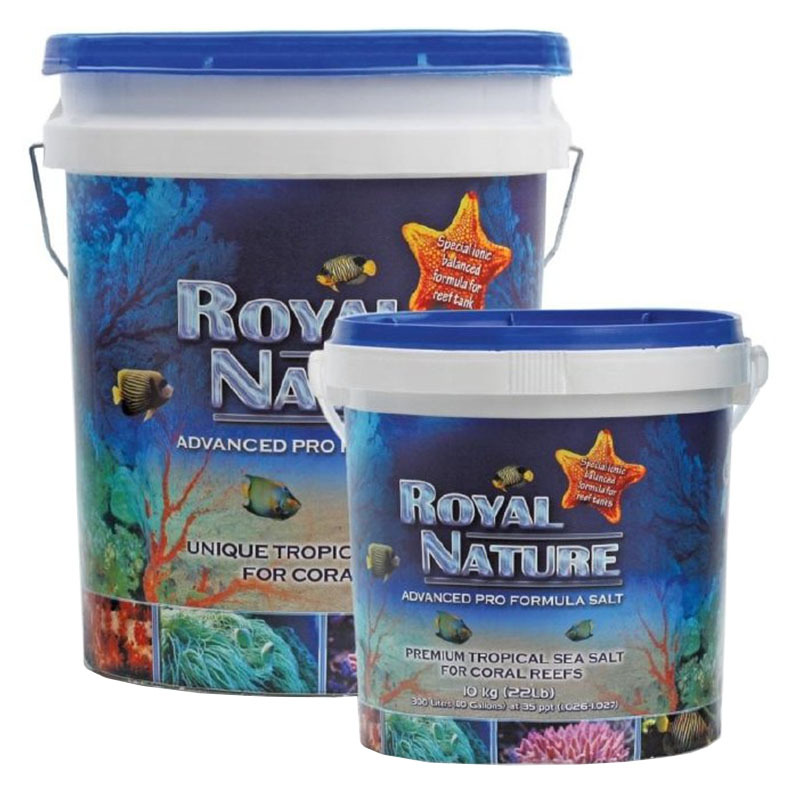 The advanced ROYAL NATURE SALT FORMULA was developed following a long and comprehensive research study of the real needs and necessities of the modern reef aquarium and the focal point was how to keep a healthy and balanced reef tank for a long period of time. For that purpose, we chose the best pharmaceutical salt that, together with our special advanced formula, optimized the macro elements of CALCIUM – MAGNESIUM – POTASSIUM, as well as ALKALINITY and PH, to meet the highest requirements of reef tanks. Since our basic Salt (NACL) is produced by evaporation from pure tropical seawater, it contains all macro and micro elements in the exact proportions found in tropical sea water where your fish and corals come from, and therefore will give them the best results. The salt is designed to dissolve quickly and with its unique chemistry, you get the optimum formula and best results.